Construction would not begin until the end of 2020 or beginning of 2021. 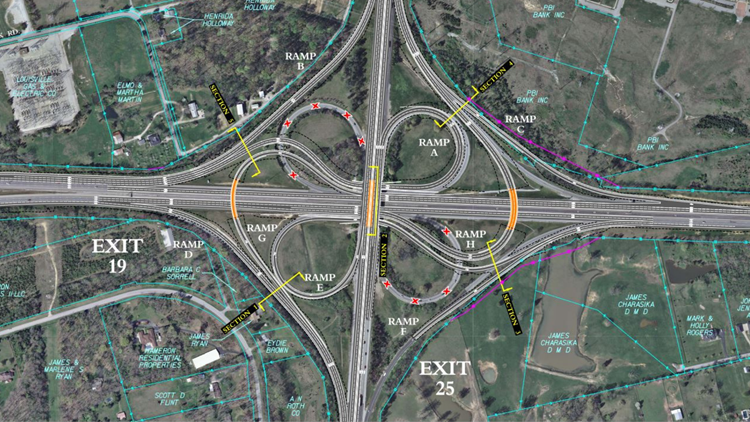 The Kentucky Transportation Cabinet is moving forward with a plan to reconstruct the interchange between Interstate 64 and Interstate 265, and they’re giving the public a chance to weigh in. 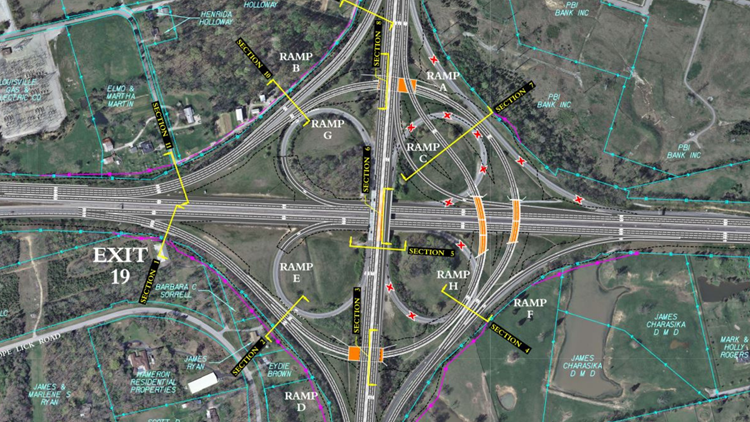 “All of the interchanges is so close together that it’s backed up from on to the other,” said Charles D. Randolph, who has lived near English Station for most of his life. The cloverleaf configuration worked just fine when the Gene Snyder, then called the Jefferson Freeway, first opened in the 1970s, but not traffic is a lot heavier. “It is a hundred times worse than it was when we moved 33 years ago,” Candy Cherry explained Thursday night. According to many drivers, one big factor causing congestion are all of those ramps. They are narrow and were designed for a time when traffic volume wasn't as large. “You're suddenly doing 45 running into 70 mph traffic,” Cherry said. The Kentucky Transportation Cabinet has narrowed it down to four solutions that would eliminate the cloverleaf. "With the increase in traffic in this area, we have a lot of congestion, a lot of back-ups as you're approaching this interchange, whether you're on 64 or on 265 and there's also an increase of crashes in this area so we want to improve the safety and reduce the congestion, we want to improve the flow of traffic in this area," said Andrea Clifford with the KYTC. People will have an opportunity to comment and submit a survey online HERE until January 25. The KY Transportation Cabinet plans to have a decision by the end of March. Alternative 1 for the I-64 at I-265 interchange. Alternate 1A for the I-64 at I-265 interchange. 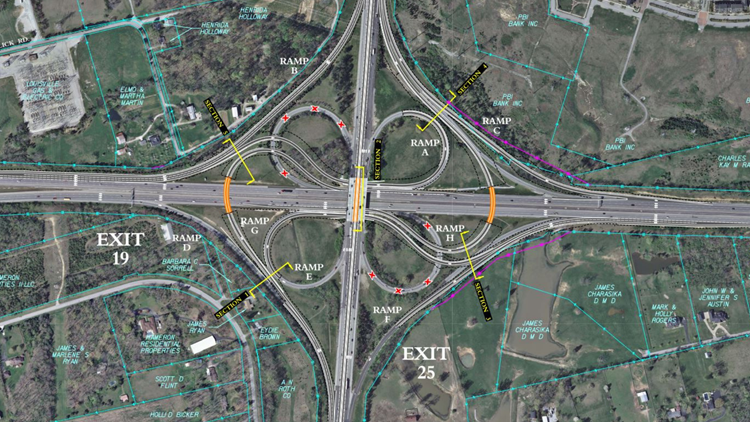 Alternate 3 for the I-64 at I-265 interchange. Alternative 3B for the I-64 at I-265 interchange. 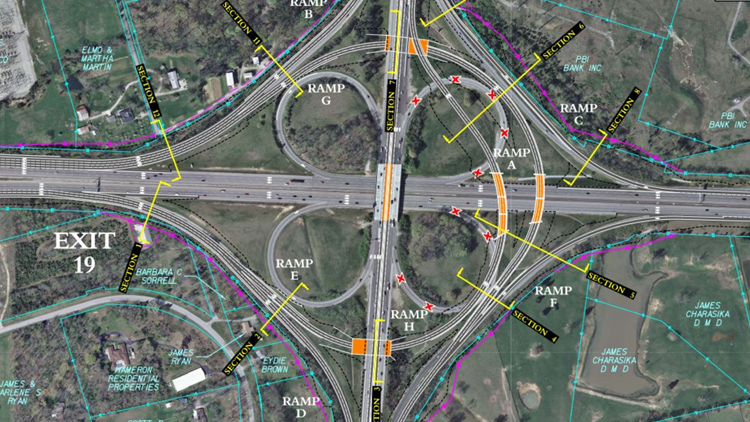 For more interchange alternatives and project information, visit the KYTC project page.